Since the introduction of the Rite of Christian Initiation of Adults (RCIA), no parish can do without a copy of this timely and extensive publication. Music for every step of the journey is provided. This includes many ritual moments that have never before been set to music. A “mini-course” in the RCIA by Thomas H. Morris entitled “Walk as Children of the Light” provides a concise and useful explanation of each step of the rite. An introduction by James B. Dunning and complete explanatory and performance notes by David Haas supply all necessary information to put this music into practical use. The music collection includes the full music arrangement for every song as well as the introductory materials. Reprint boxes are also provided for all assembly parts. 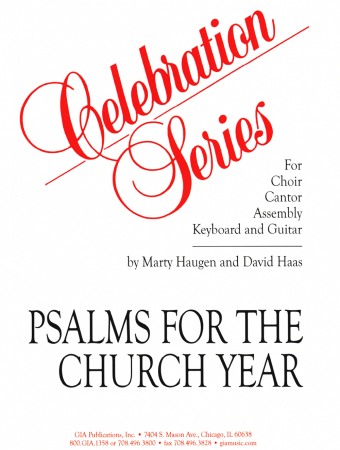 The choir book containing all cantor and choir parts provides an economical way to purchase books for the entire choir. The Presider edition includes all necessary solo parts for the presider. A beautiful recording includes most selections. From "Who Calls You By Name - Volume 2"